Delaware Farms, wineries, orchards and ranches in Delaware your wedding, reception, party, meeting or event! Looking for a local farm, orchard or winery for an event like a wedding, reception, birthday party, family reunion, company meeting, or other event in Delaware? Scroll down this page and you will see the aall of thoses in Delaware, sorted by county. ALWAYS call before you go to confirm the info, they don't always report changes to me! 3893 Turkey Point Road, Woodside, DE 19980. Phone: (302) 284-9255. Open: 9am to 5pm seven days a week from March 1st until December 25th. Directions: From Route 13, go west on Walnut Shade Road to railroad tracks in town of Woodside. Before tracks, turn left going south along tracks on Turkey Point Road, go 1 mi. to first farm on right. Click here for a map and directions. First weekend in December is the Christmas Extravaganza and Annual Open house. Payment: Cash, Check, Debit cards, Visa/MasterCard. Loblolly Acres is your family farm for fun. In the fall we offer a great array of fun: Scenic hayride tour of the farm Horse drawn carriage rides A petting zoo with adorable and unique furry friends, including a hedgehog and Ruddy the pot belly pig Straw maze Fun play area Face painting Corn pit Big slide! A beautiful PUMPKIN PATCH Straw bales for sale Corn stalks Mums Gift shop Wonderful café with homemade soups and chili Birthday parties School tours Great fall decorations Bonfires Tag your Christmas tree and get 10% off your tree purchase In the wonderful Christmas season, we offer: Visit Santa on the weekends Scenic hayride tour of the farm Horse drawn carriage rides A petting zoo with adorable with unique furry friends, including a hedgehog and Ruddy, the pot belly pig Straw maze Fun play area Face painting Corn pit Big slide! Gift shop A cute café with homemade soups and chili Birthday parties School tours There is so much family fun to do at Loblolly Acres! We are always adding fun demonstrations for your family, so check our Facebook and Twitter to find out what fun event is happening on the farm. Our school tours are educational and we can make them fit your curriculum. We have fall, winter, and spring themed farm tours that make learning fun. They can include a petting zoo with the pig and a hedgehog, hayride tour of the farm, tree education demonstration, story time with a special on local wildlife animals, a big slide, fun play area, straw maze, kick ball, planting a plant, Santa, craft time, snack, and more. We are always updating and bettering our educational school tours to fit your needs. Join us for our annual open house and Christmas Extravaganza at Loblolly Acres on the first Saturday in December. Visit our Facebook page for more information. It is the ultimate farm day with prizes! We look forward to having your family visit our family. 3700 Limestone Road, Wilmington, DE 19808. Phone: (302) 995-7670. Email: carouselpark@nccde.org. Open: See our website for current hours and times we are open. Directions: Click here for a map and directions. Payment: Cash, Visa/MasterCard, Discover. 500 Ramsey Road, Wilmington, DE 19803. Phone: 302 477 1499. Email: farmerstewart@ramseysfarm.com. Open: Weekends by appointment. Click here for current open hours, days and dates. Directions: Click here for a map and directions. Payment: Cash, Check. Click here for our Facebook page. Small farm setting - family friendly activities. 8887 Redden Rd, Bridgeville, DE 19933. Phone: (302)337-8271. Alternate Phone: (302)236-3675. Email: tssmithandsons@gmail.com. Open: Monday through Saturday from 10 am to 6; Saturday 8 am to 4 from mid - April through December 23; Our Easton store hours are Wednesday through Saturda and Saturday (10 am to 6) Year round. Click here for current open hours, days and dates. Directions: Click here for a map and directions. Payment: Cash, only. Click here for our Facebook page. 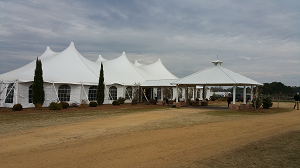 The Pavilion at TS Smith is a lovely location for a wedding, rehearsal dinner, graduation party, family reunion, school or church group, and more. Yes, it is also available for weddings. Email us for more info! Tractor pulled wagon rides and hay rides available. We offer individualized group tour packages. Ask us how we can plan a trip to suit your objectives!.